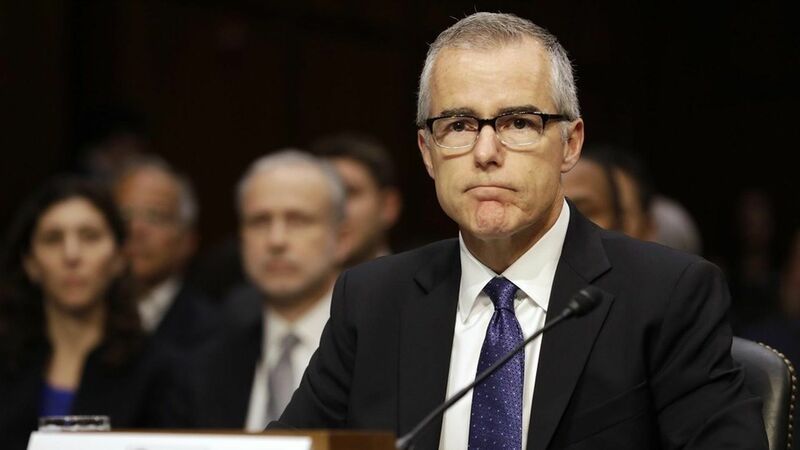 FBI Deputy Director Andrew McCabe plans to retire in March "when he becomes fully eligible for pension benefits" according to a new report from the Washington Post. Why it matters: McCabe is reportedly going to retire early because of the intense criticism he's received from Republicans, particularly as Special Counsel Bob Mueller's investigation has widened. And that scrutiny picked up after Trump abruptly fired former FBI Director James Comey because conservatives and Republicans wanted him to answer for Comey's decisions. "The pressure on McCabe has only intensified," WashPost notes. The House Intelligence Committee recently questioned him for eight hours and two days after he went to Congress where he answered nine hours' worth of questions from the House Judiciary and Oversight committees. Republicans are particularly mad at the FBI over their almost-relationship with the author behind the Trump-Russia dossier. After the 2016 election, the FBI reportedly offered to pay "to keep pursuing leads and information, but the agreement was never finalized," per WashPost. Director Christopher Wray, trying to move past his predecessor's era, "has kept a low profile, making sure his anodyne speeches inside and outside the F.B.I. do not inflame the White House."